From July 3-5, 2015, people across Canada are calling for a new approach to the environment, the economy and society. 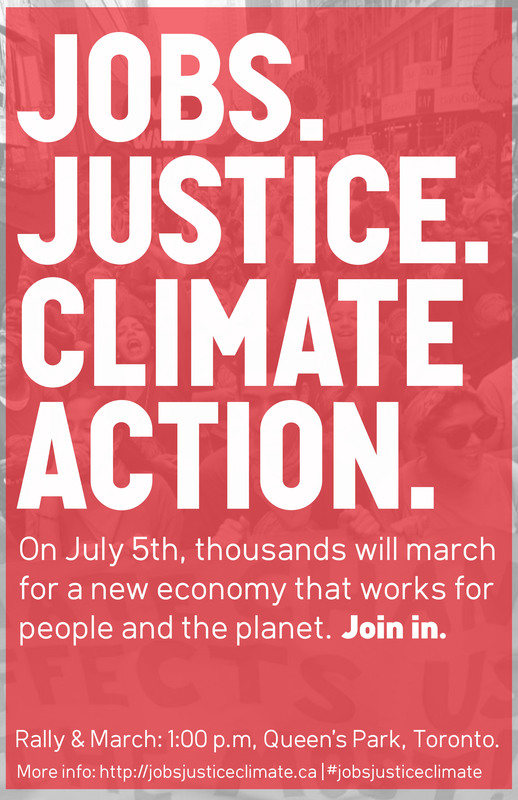 On July 5, thousands of people will gather in Toronto for the March for Jobs, Justice and the Climate. They’ll be drawing attention to the connections among social justice, good work, clean energy and a healthy environment, and highlighting solutions for addressing climate change. The March brings together a wide range of participants including representatives of Indigenous, marginalized and racialized communities, human rights, labour and environmental groups, and many others. The March precedes the Climate Summit of the Americas hosted by Ontario’s Ministry of Environment and Climate Change, and a meeting of government and business representatives, the International Economic Forum of the Americas’ Toronto Global Forum. Additional activities across Canada on July 3 and 4 are calling for fossil fuel divestment and a shift from tar sands to clean energy. 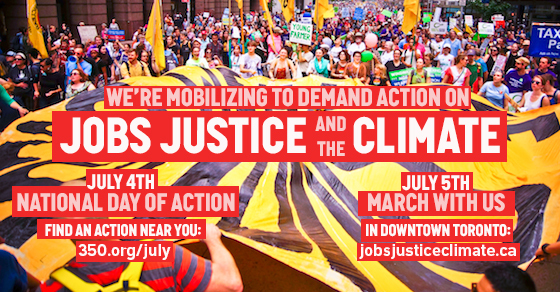 You can follow these on Twitter through #JobsJusticeClimate.